After you purchase TwistedBrush Pro Studio you will receive a license key via email. 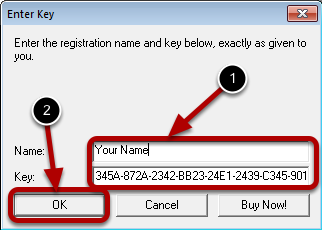 The license key can be entered at program start up or as shown below. Enter the name and key code exactly as supplied in the email. Use Windows copy and paste to reduce entry errors.